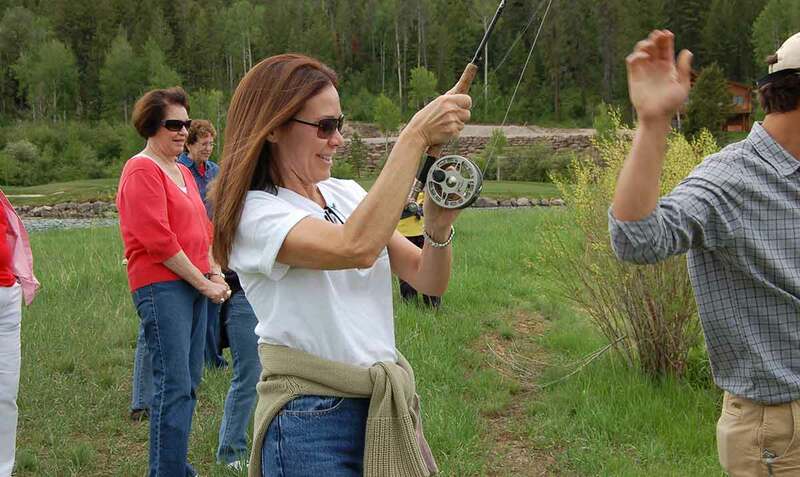 Teton Springs Resort is the picture perfect location for corporate meetings, conferences, and special group events. Our staff is dedicated and eager to provide the highest level of professional service to members of your group. Teton Springs Resort has lived up to its many accolades throughout the years, having been recognized numerous times by the state of Idaho and US News & World Report, for being the top full-service, year-round resort in eastern Idaho. Teton Springs is indeed the picture-perfect location for corporate meetings, conferences, and special group events. Inspired guests can be accommodated in either the 51 room Lodge or one of the Luxurious Mountain Log Cabins – all situated on 780 total acres. The Lodge is home to 3 meeting/function rooms that can be customized for the group’s specific use, and full food and beverage services are provided by Headwaters Grille. With many hotel amenities, concierge service and regional activities, guests are sure to be kept fully entertained during their stay. Our staff is dedicated and eager to provide the highest level of professional service to the group coordinator and the guests. If you are interested in learning more, please read below for additional details, and feel free to contact our sales department. The numbers quoted above for occupancy are based upon the international standards set forth by M.P.I. (Meeting Professionals International). Highly recognized as being in the heart of the Yellowstone-Teton Territory, it is well worth investigating the myriad of fun and adventuresome activities one can pursue during leisure time between meetings and professional functions. To name a few: Guided fly-fishing float trips on the South Fork of the Snake River, Guided wildlife tours into Grand Teton and Yellowstone National Parks, horseback riding, white water rafting, mountain biking, day trips to Jackson, WY, guided hiking in Caribou-Targhee National Forest or Grand Teton National Park, or Astronomy Night with a professional astronomer, a dynamic event only possible given the staggering Rocky Mountain sky. And a visit to the resort’s full-service Stillwaters Spa & Salon must be on any attendee’s agenda! We’ll work with your group coordinator to arrange a variety of activities, creating the perfect combo of work and play! We are happy to make arrangements at a selection of dining options, including the Headwaters Grille, our on-site full-service restaurant conveniently located next to the Lodge, or perhaps a genuine western BBQ-style picnic at our Storehouse Café. 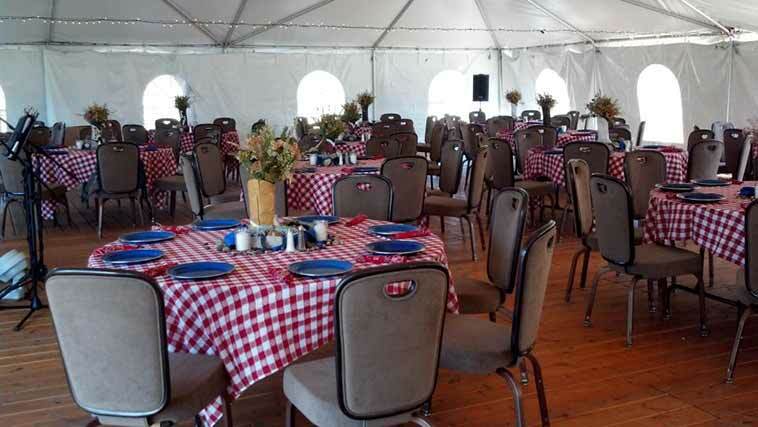 For larger groups, our Chef will cater private meals in the Caddis Lake Overlook Tent adjacent to the Lodge with scenic views of the National Forest. Grocery shopping before arrival to ensure your cabin or room is stocked for your stay can also be arranged and we’re happy to help with reservations at a number of restaurants in the area. There are 3 inside meeting / function rooms available for your use. The numbers quoted below for occupancy are based upon the international standards set forth by M.P.I. (Meeting Professionals International). Combining two side by side meeting rooms affords accommodation for up to 200 people seated in rounds. In addition to the indoor meeting rooms, during the summer months, we offer the Cadis Lake Overlook Tent which is situated right next to the Lodge. It sits up high on a custom built wooden deck to take advantage of the spectacular panoramic view of the mountains and golf course. It is a 3200 square foot permanent steel structure that can either be walled or unwalled. Meeting rooms are equipped with tables and chairs required for your set up. Food and beverage service is available. The resort is equipped with complimentary wireless and direct access high-speed internet. The Executive Office, located in the main lobby behind the front desk, offers business services for those in need of faxing, copying, etc.